Teaching Backwards is just that. 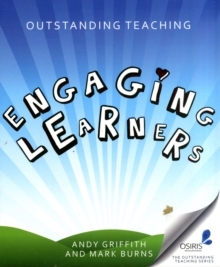 It's packed with case studies from primary and secondary teachers, and it's punctuated with reflective questions that invite teachers to slow down and do some thinking about how they currently teach, so that their teaching can have an even more powerful impact on learners. 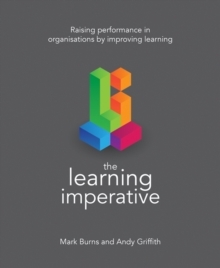 Well-informed by research and with a clear action plan of what to do, and what not to do, Teaching Backwards is a guide to ensuring that learners make outstanding progress, lesson by lesson and year on year. Develop learners' knowledge, attitudes, skills and habits (KASH) and help shape the class any teacher would love to inherit. It is not just about results, but building the resilience and mindsets in learners that will enable them to master any challenge they may face, in the classroom and throughout their lives.Discover the powerful effects of teaching backwards for yourself. Topics covered include: setting high expectations, starting points, defining and demystifying the destination, looking for proof of learning, challenge, feedback. 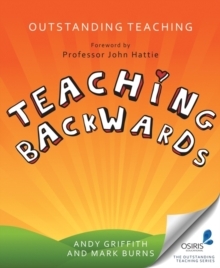 Foreword by Professor John Hattie.Teaching Backwards is the follow-up to the best-selling Outstanding Teaching: Engaging Learners. It is based on the analysis of thousands of hours of primary and secondary lessons, part of Osiris Educational's Outstanding Teaching Intervention programme over the last seven years.For primary and secondary teachers.